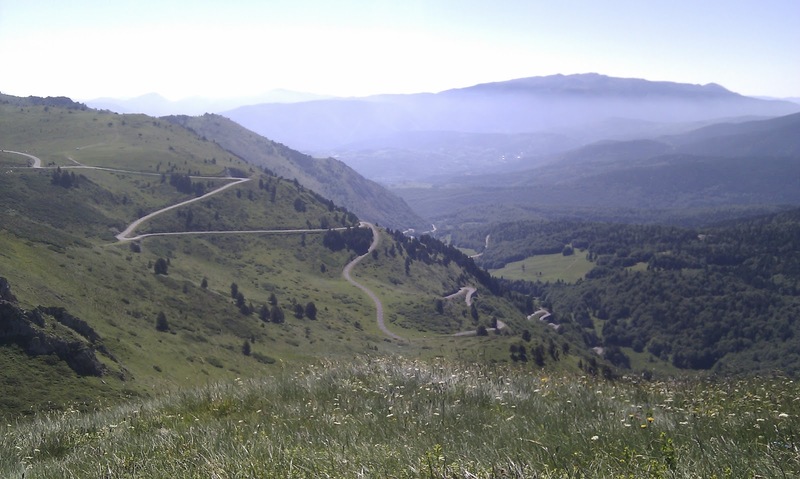 dislocatedMTB: Pyrenees... part 7: Are we there yet? Not quite. Just one 19km climb, up 1281m, straight out of the hotel in the morning. 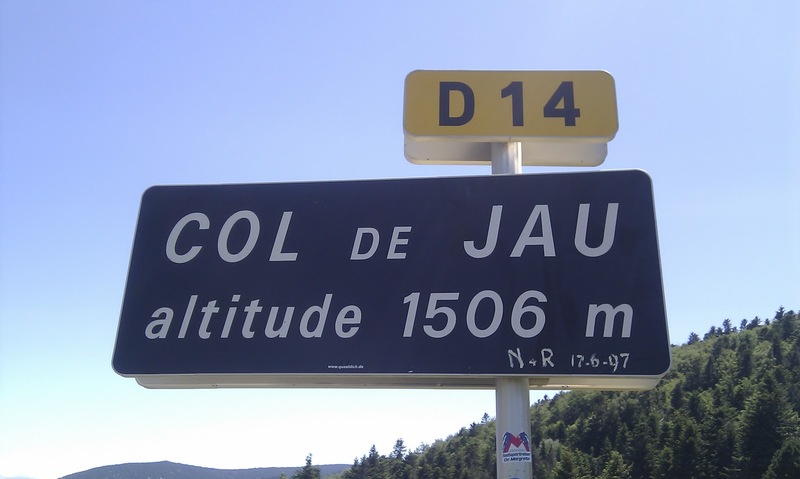 One deceptive climb that advertises as being 6.9% average, but you soon realise is going to be much harder than that after the first few kilometres are only 3-4%. One Hors Categorie, steepening, relentless sweaty climb that goes on and on at 9-10% near the top, never turning, never flattening. Flies were landing on me. Hell, flies were setting up home on me. Port de Pailheres, the second highest pass in the Pyrenees, 2001m. You've got to be suspicious of that "just over 2000m" thing though. It certainly felt like they'd added a bit on the top. See that twisty thing? We got to ride down that. At the first village we stopped for Coke and cake, waiting for the others. Ah, sunshine. On average, the rest of the tour was downhill from here. The next climb was livened up by some very childish behaviour, mainly instigated by me. Partly instigated by Dangerous Dave doing his usual van-based goading I launched a sprint, which just happened to coincide with a minor Col summit. This led to all kind of mini-attacks, including the "wait for him to get closer then speed up" game. I'm sorry. It was fun though. Another fabulous lunch, this time properly homemade, and we only had the Col de Jau, a mere 1500 metres or so. This was it. The final col. Winding through the trees, brilliant sunshine, the odd waterfall and a pair of teenage girls wearing very little. The last bit may have been a hallucination but the others saw them too. The final big descent. The final mid-descent stop - though coffee and Coke were ignored in favour of a cheeky beer. And then... a recovery McDonalds. We went for milkshakes and ended up with burgers. And milkshake-like ice creams. And fries. A few more beers, some terrible sub-motorway services food at the hotel "restaurant" and we only had one flat half-day left. How hard can one flat half-day be, which a bunch of mountain hardened riders who can smell, taste and almost touch the finish line? We'll see. It's not as if we'd treat it as a team time-trial.